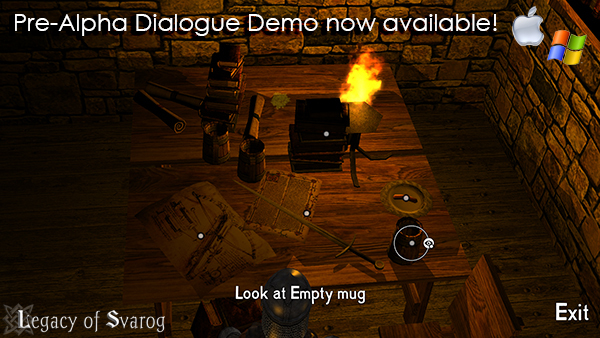 Now available is an early pre-alpha dialogue demo for you to try. We would love to know what you think. This build is a few weeks old but we will have plenty updated demos coming in the next few weeks.